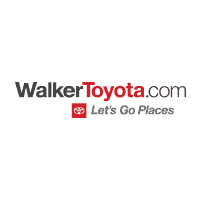 At Walker Toyota we go beyond selling new Toyota and used vehicles in Miamisburg, OH. Our finance specialists are eager to help you find the best car loan or lease serving Cincinnati, Dayton, Springboro and Middletown and will work hard to secure an option that works best for your budget. Don’t let the fear of crunching numbers stop you from visiting our department. We go over every fine detail to make sure you leave well-informed and confident knowing you made the right purchase. Begin the process by simply completing our secure online finance application, and we’ll get back to you ASAP to discuss rates and our available car specials. Stop by today at 8457 N Springboro Pike for more information. Really, the decision doesn’t have to be difficult. With Toyota Financial Services, we’ve got you covered either way. Finance it. Lease it. We have a plan that’s right for you. See what your payments could be. Find out if you’re pre-approved.